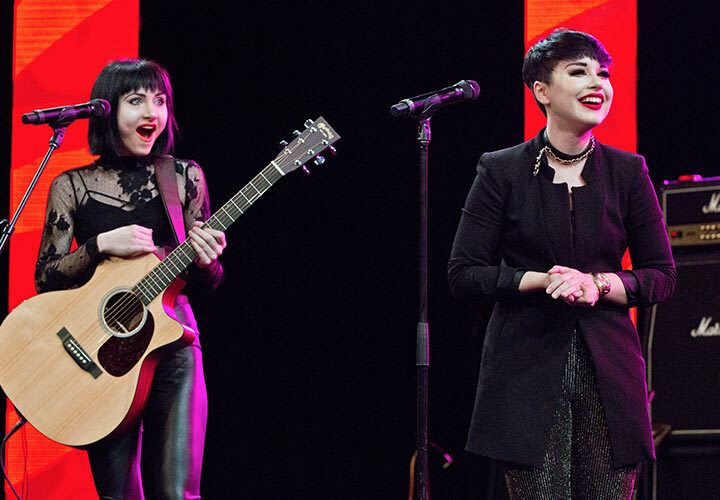 On Friday, more than 800 men and women gathered to celebrate noted women across the music industry at the She Rocks Awards in Anaheim, California. 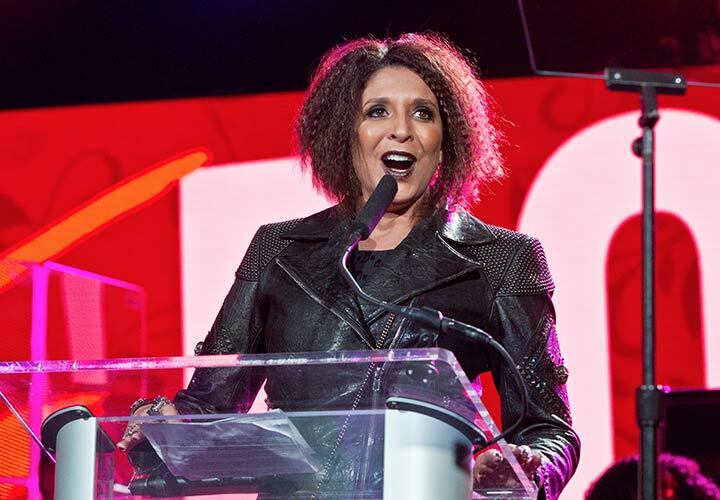 The soldout award show honored artists ranging from Lita Ford and Shirley Manson to Ronnie Spector and Esperanza Spalding, alongside notable women in the music and music products industry. “The days of women guitarists as a novelty are over,” Steve Vai declared, and the remainder of the night demonstrated why that sentiment rings true. 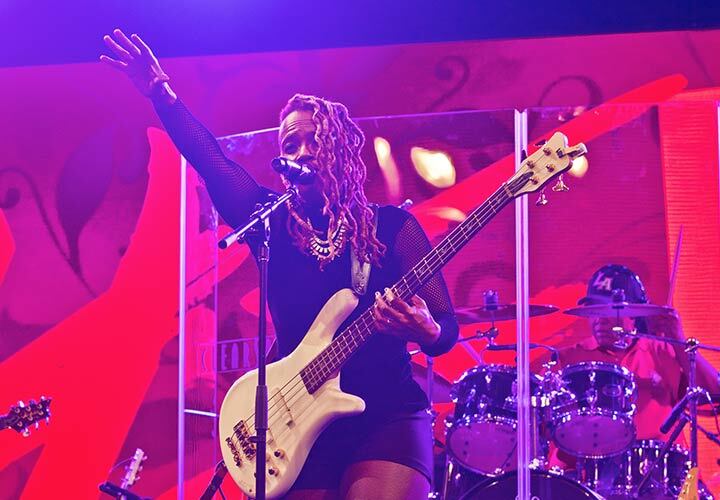 Supported by Rock Sugah - the show’s house band comprised of Divinity Roxx on bass, Kat Dyson on guitar, Benita Lewis on drums, and Lynette Williams on keyboard - the show featured a string of performances, broken up by more than a dozen awards. 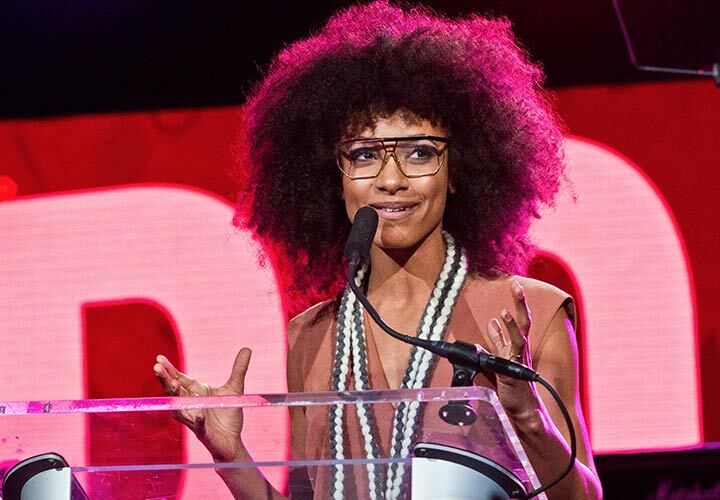 After telling her nephew that she was going to Anaheim for the She Rocks awards, Esperanza Spalding was surprised to hear him say that it’s strange there needs to be an award show just for women. “My nephew could be the first generation to not bat an eye at women doing incredible things,” the Grammy Award-winner said. 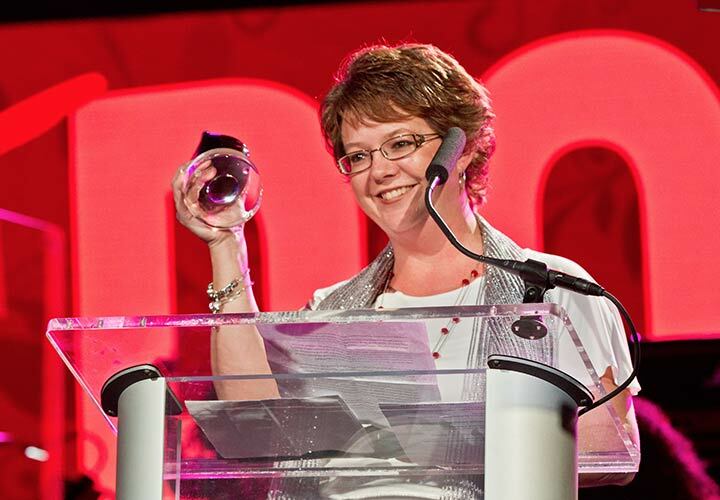 Beverly Fowler, director of artist relations and events at PRS Guitars, accepted the Spirit Award, while Roland Corporation U.S. marketing communications manager Rebecca Eaddy was honored with the Excellence Award, presented by Guitar Player Magazine editor, Michael Molenda. “By not disappearing, but by thriving, that's how you have the last word," Shirley Manson, lead singer from Garbage, said as she accepted the Powerhouse Award. 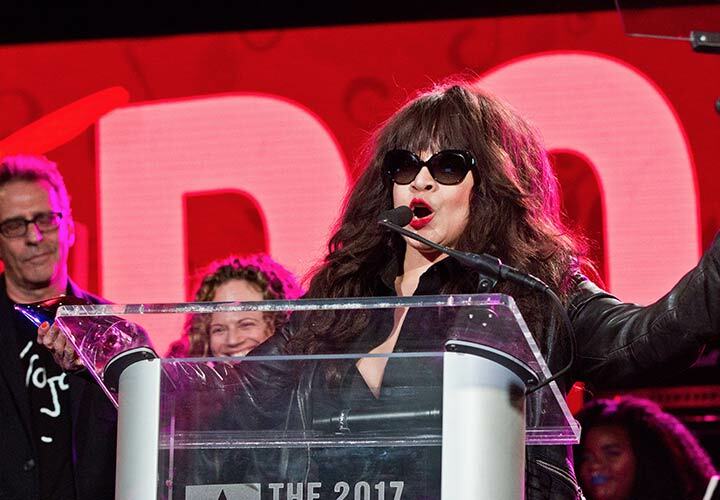 Ronnie Spector also offered some wise words as she accepted the Legend Award, presented by the John Lennon Educational Tour Bus. “If you don’t love it, don’t do it,” she said. “Lita Ford didn’t just open the door, she knocked it down and blew it up with dynamite to make way for those behind her,” Nick Bowcott of Marshall Amplification said, before presenting the legendary guitarist, vocalist, and songwriter with the Icon Award. 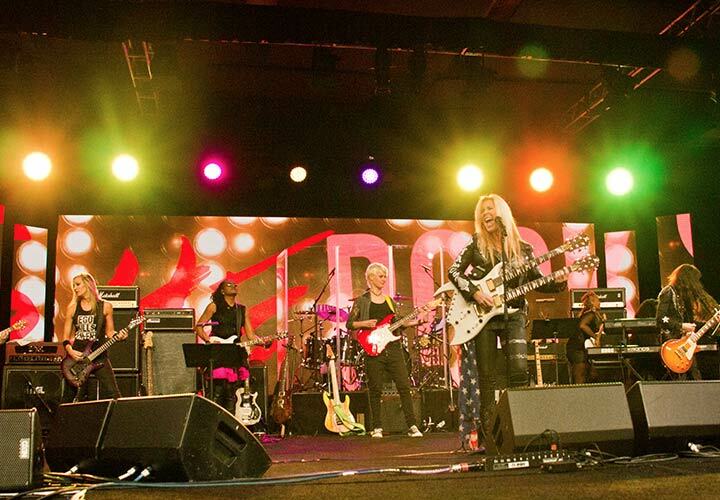 After a short speech, Ford performed “Kiss Me Deadly,” backed by seven female guitarists featured on She Rocks Vol. 1 - a compilation CD of eleven female guitarists released on Steve Vai’s Favored Nations Entertainment label. Additional performances throughout the night included Kat Dyson, Victoria Renee, all-female tribute band Lez Zeppelin, Yasi Hofer, sibling guitarists The Command Sisters and even She Rocks founder Laura B. Whitmore. 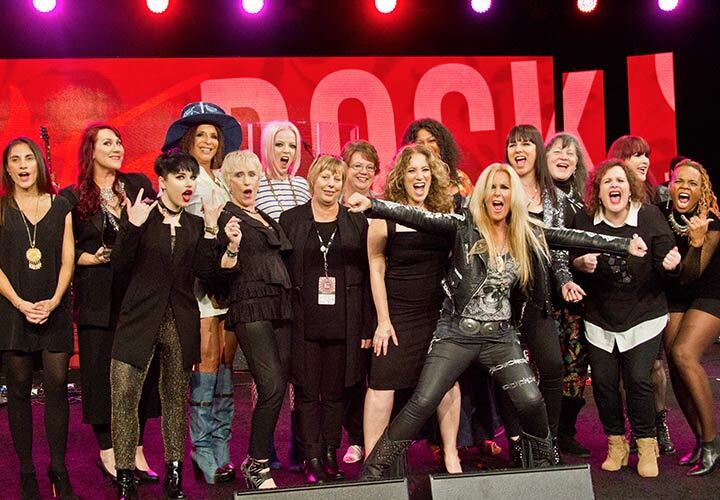 The She Rocks awards is produced by the Women’s International Music Network, an organization whose mission is to advocate for women in the music industry and to shine a spotlight on female role models. To support the show and Soundgirls, check out the silent auction, live through January 31, which features guitars, music, audio gear, jewelry, spa products and much more.